Singer Bobby Brown was arrested for suspicion of driving under the influence today, reports TMZ. 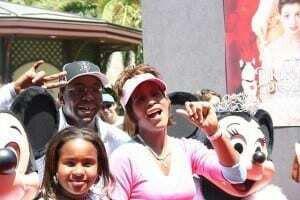 Bobby Brown, 43-years-old, was initially pulled over for talking on his phone while driving in Reseda, CA at 12:20 p.m. If convicted of driving under the influence, this would make Brown’s second DUI conviction. His first was back in 1996 in Georgia. The singer pled guilty, serving eight days in jail. He was also arrested for battery against in 2003. TMZ reports that Bobby Brown is currently being held in a Van Nuys jail. All of this comes on the heels of his former wife Whitney Houston’s death in a Beverly Hills hotel. Also, recently released was that cocaine was found in Houston’s system at her time of death. Brown also left Houston’s funeral after a dispute occurred between him and Houston’s family. Reports of what substances Brown may have been on have yet to be released.